Greenbrier has more than one way to catch you! This entry was posted in photography and tagged 2012, glow, greenbrier, hike, nature, outdoors, photo, Photograph, Photography. Stunning! I love the use of light and shadow. Thank you. 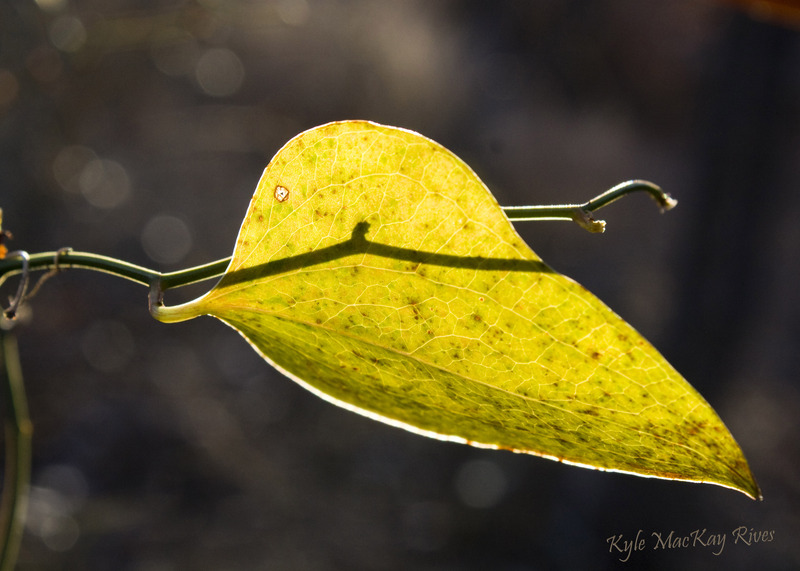 That one leaf was spotlighted by a beam of sunlight. Nice going. I’m glad it was your attention that got caught and not your clothing or skin. As you pointed out, these leaves look wonderful when lit from behind by the sun; your picture reminds me a lot of some that I’ve taken, though only a fraction of them have come out well enough for me to be happy.